Click on image for original size. On Stage Please At The Hackney Empire (VHS). Video and book issued in 1992-MARCH 1962 Helen is featured receiving the award for the most promising newcomer of 1961 at The Savoy Hotel London. 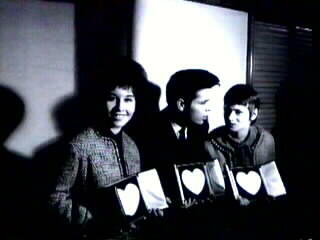 She is pictured here with Cliff Richard and Rita Tushingham. Helen-PLAY IT COOL (VHS). Cinema film-1962-sings-CRY MY HEART OUT, and I DON'T CARE-(82 min). Billy Universe (Billy Fury) and the Satellites are en route to Brussels to take part in a song festival. The aircraft is grounded, so they give a tour of London to an heiress who is being sent abroad by her father on the same aircraft, to separate her from an unsuitable romantic interest. Many excuses for songs written by Norrie Paramor - the title song Play It Cool and Once Upon A Dream are the pick of the bunch. 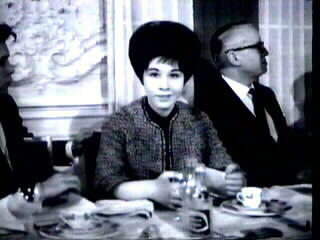 Guest stars (one song each) are Helen Shapiro, Bobby Vee, Danny Williams and Shane Fenton and the Fentones. The first cinema feature film directed by Michael Winner. Difficult to say why this film is so compulsively watchable! (review from 'The Net'). 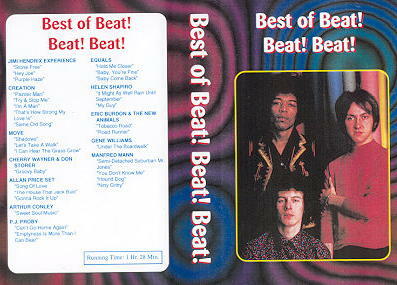 Best Of Beat! Beat! Beat! (VHS). Revival In Russia 1993 (VHS). 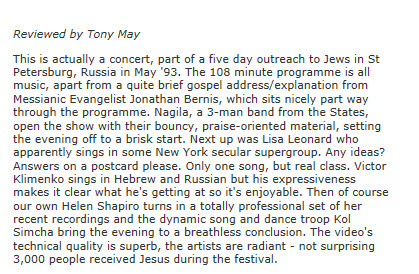 Messianic Jewish Revival in St Petersburg Russia -concert. Music by Nagika, Lisa Leonard, Victor Klimenko, Helen Shapiro and Kol Simcha. Cinema film 1968: Helen sings THE BOY I LOVE IS UP IN THE GALLERY, DON'T DILLY DALLY, and THE LAMBETH WALK. on DVD. This includes Helen's 'For The Record'.